The word ‘antioxidant’ is mentioned so repeatedly nowadays, and it is hardly possible to find someone who has never heard about the effects and benefits of antioxidants. As it becomes quite clear from the name of the elements, antioxidants are the compounds which can create an effective protection against negative actions of oxidative stress, or increasing amounts of oxygen in our cells which takes place as we age. As a result of oxidative stress various degenerative processes start in our cells. Those are linked with simple aging of cells, or, in the worst case scenario, with developing faulty cells known as cancer cells or tumors. That is why antioxidants are highly valued as very effective solutions for preventing various types of cancer. Certainly, in order to maximize the effects it is recommended to use rather natural antioxidants than antioxidant supplements or such kind of pharmaceuticals. For example, green tea is known as one of the best natural antioxidants for preserving skin health and preventing the symptoms of aging in general. Cocoa beans and fresh berries like blueberries, wild strawberries, blackberries, and others, are considered the best natural anti-oxidant protection against cancer. At the same time, new natural super antioxidants are being discovered by today’s researchers. This way, recently a group of scientists at the University of Florida reported that their analysis of the compounds of certain specie of seaweed which can be found near Florida coasts has shown that this seaweed can play a role as a very serious and potent natural antioxidant, as well as be a very powerful protection against some common types of cancer. The scientists managed to isolate the compounds of these plants which turned out to be very effective to significantly increase the level of antioxidant protection. As it is stated in the report, this kind of protection was tested as a solution for prostate cancer, one of the most common types of cancer in our times. 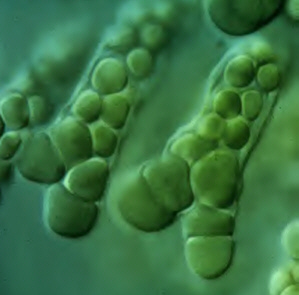 “We now have scientific evidence that this seaweed raises the body’s antioxidant defense system and therefore might potentially prevent a number of diseases, including cancer,” said Hendrik Luesch, one of the study leaders and an associate professor in the College of Pharmacy of the University of Florida. According to him, it is possible to recommend consuming seaweed known as sea lettuce as a great natural antioxidant protection and prostate cancer prevention. The scientists also underlined that there was also an additional factor proving the correlation. It is a known fact that in those nations which consume seaweed the risk for prostate and some other types of cancer is relatively low. Those are, first of all, the nations of the South East Asia, Africa, and the nations of South America. 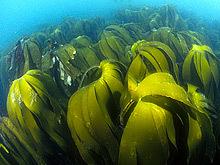 Sea lettuce is being traditionally used as a part of diet in those areas, and this kind of seaweed was found close to the shores of Florida. The study leader underlined that sea lettuce had much higher anti-cancer protection potential compering to any existing antioxidant supplement, that is why it should be considered a true natural antioxidant. The findings of the study were recently reported in the journal Cancer Prevention Research and evoked a live interest in the related scientific circles.